This dip is healthy for a few reasons. It beats the heck out of store-bought brands that are often made with added sugar, preservatives, and unhealthy, hydrogenated oils. It’s dairy and sugar free. It’s homemade. End of story. As an added bonus, it takes under 1 minute to make, doesn’t require any kitchen equipment, and can stay in the fridge for up to a week. Trying to get more veggies into your kids? 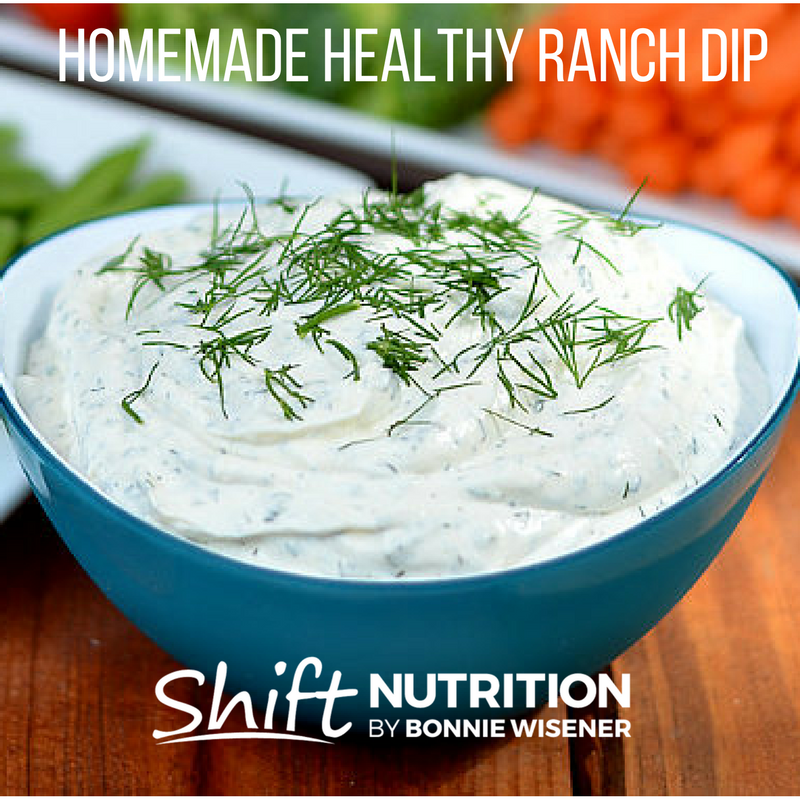 Serve this dip with cut up veggies as an after school snack – and watch them go for it. TIP: Have the veggies and fruit waiting for them the second they get in the door (or into the car, if you are shuttling to and from activities). Place all ingredients into a medium sized bowl. Whisk to combine.